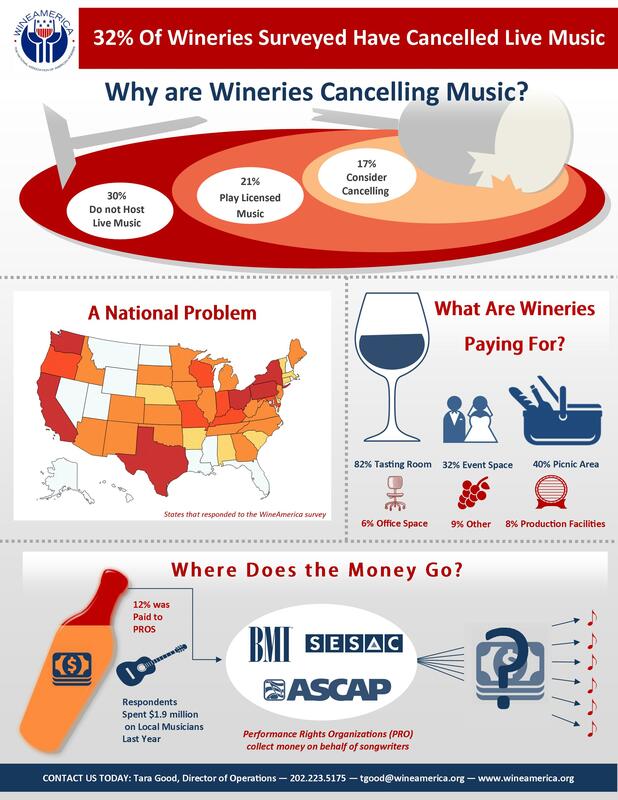 In November 2015 WineAmerica conducted a national survey of wineries regarding music usage and licensing. The response was overwhelming. The business practices of performance rights organizations (PRO), including BMI, SESAC and ASCAP, have had a severely damaging effect on wineries abilities to host live music. Songwriters get paid for their work through the three PROs named above. In order for wineries to legally to host performances of copyrighted music they must annually purchase a “blanket license.” A blanket license entitles the venue to host all the music contained in a PROs repertory. The price of the blanket license is dependent on usage. Respondents strongly voiced their desire to support local artists and the desire of local artists to play at their winery. But, they also described–at times in great detail–the unorthodox business practices on the part of the PROs. They report that these business practices are forcing them to cancel or severely curtail their live music programs. Most wineries are located in rural areas where agri-tourism is an important part of the local economy. 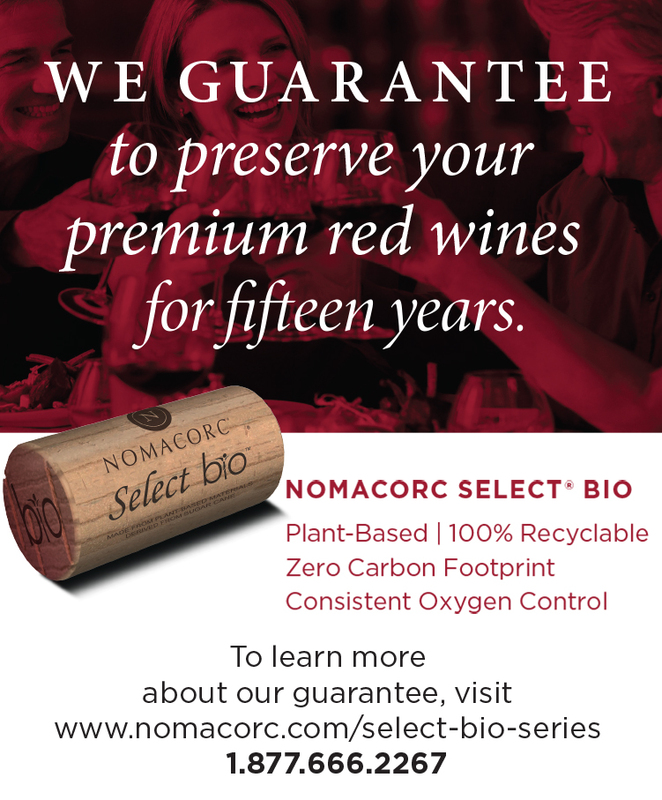 It is important for the winery to be able to host live music to bring in customers, just as having venue space in rural areas is important to local artists. The respondents to paid over $1.9 million dollars to local musicians last year for live performances alone. As of January 2015, 96% of U.S. wineries can be classified as small businesses. Therefore, many do not have the necessary legal resources to litigate disputes with PROs. This leaves winery owners vulnerable to harassment. Nearly 85% of respondents described being harassed and legally threatened by PROs demanding license payment. These practices have had a chilling effect on live music in wineries. 32% of responding wineries have canceled their live music. An additional 17% are seriously considering canceling live music due to the exorbitant rates and business practices. Canceling these programs sadly will result in lost of revenue for wineries and rural communities, and lost exposure and income for musicians.